The idea of root & vine began with one simple word: value. In June of 2011 root & vine opened with the idea to provide guests with the highest quality products, coupled with professional service in a comfortable dining atmosphere, at the lowest price point possible. 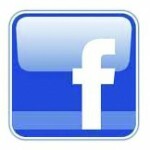 Follow us on facebook: root & vine restaurant for daily specials and other exciting news.